Managed WordPress hosting is very easy to understand even for the beginners. It doesn’t give you any work. You have to just sit back and use this hosting. 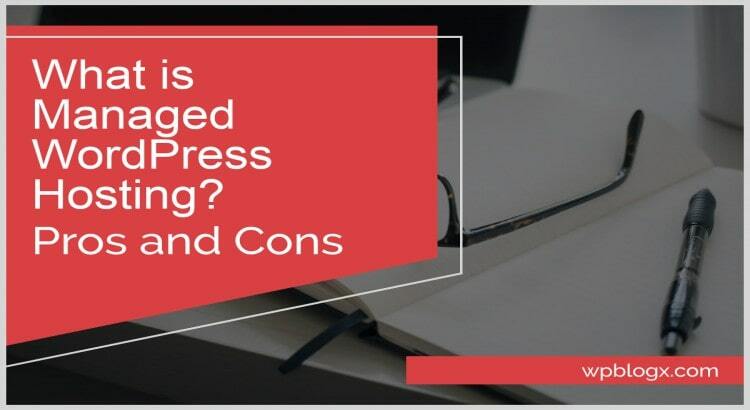 Here we will explain to you what is Managed WordPress hosting and its positives & negatives. WordPress hosting is quite different from all other hosting types. This hosting is specially designed for WordPress website. It’s actually a hosting plan that is designed to give you best speed, security, storage, scalability, backups and WordPress updates for hosting your WordPress website. With this, you can easily install, optimize and manage your website. It takes an advantage of more reliable, user-friendly, powerful and secure hosting. This hosting does everything in just a single click. You need not worry about any setup, Web hosting company taking care of the technical work. You just focus on your business. The WordPress hosting comes with best WordPress tools such as protection against DDoS attack, free transfer migration tool, WordPress staging, free weekly backup, WordPress core updates, and one-click installation. Your website will be highly secured. The server handles all the task. Even for the beginners, it is very easy to use. It will be able to handle heavy traffic, but at any time it won’t slow down your website. Caching plays a very important role for any WordPress website. Without caching your website may slow down, and that will be the biggest drawback for your website. If caching is enabled, it loads the server time, and your website is displayed to the visitors with the highest speed. So in WordPress hosting, caching is an added advantage. It actually makes the WordPress user to be relaxed without taking care of anything since it manages everything. There are many WordPress hosting providers. The officially recommended providers are SiteGround, DreamHost, Bluehost, etc. All these providers come with different pricing and features. You can choose the plan as required for your WordPress website. Now you came to know what is WordPress hosting?. Next, we will see its positives & negatives. Hope you got a clear idea of what is managed WordPress hosting?. Once people started using WordPress hosting, will go back to any other hosting. If you have any queries or comments please feel free to comment us. You can subscribe us on Facebook and Twitter. A complete Tutorial on How to Setup CloudFlare Free For WordPress CMS?